Last weekend a 1972 Audemars Piguet Royal Oak Jumbo A-series was sold at an Antiquorum auction in Hong Kong for HK$ 212,500.=. HK$ 212,500.=! That’s more than € 19,000.= or US$ 27,290.=… And that’s 25% more than a new Audemars Piguet Royal Oak Jumbo 15202ST – virtually unchanged and still housing the same caliber 2121 – lists for nowadays. If you only could find one. 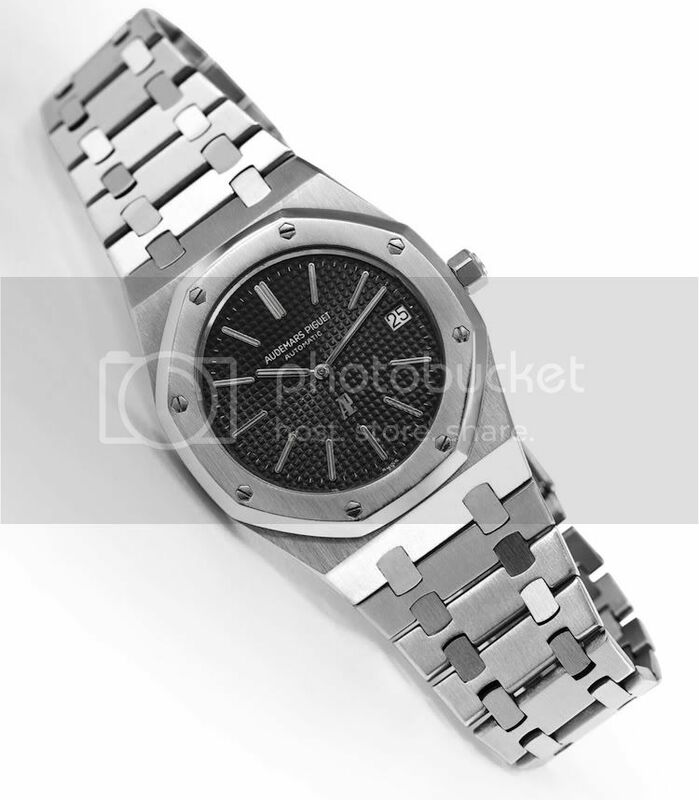 I’m a huge fan of the Royal Oak Jumbo overall, and don”t think that this price is heavily exaggerated. But what disturbed me a bit is that Antiquorum appraised this watch at only a third of the price which was finally hammered. They don’t seem to be very good in appraising, or is it just a cheap way to artificially attract those interested? This entry was posted on June 27, 2011 at 14:00 and is filed under all, front page, news. You can follow any responses to this entry through the RSS 2.0 feed. I think it’s a cheap way to get interest. & also the buyer’s fee tacked on guarantees an articifically low finish. I was seriously thinking of bidding. $10k for an A? Well, I’m glad I went to ride my bike instead.